The Viral game is now on more than 5% Android Smartphones in the US and is about to cross twitter's daily user engagement ! Breaking all records , The game has become the most popular smartphone game in U.S. history. 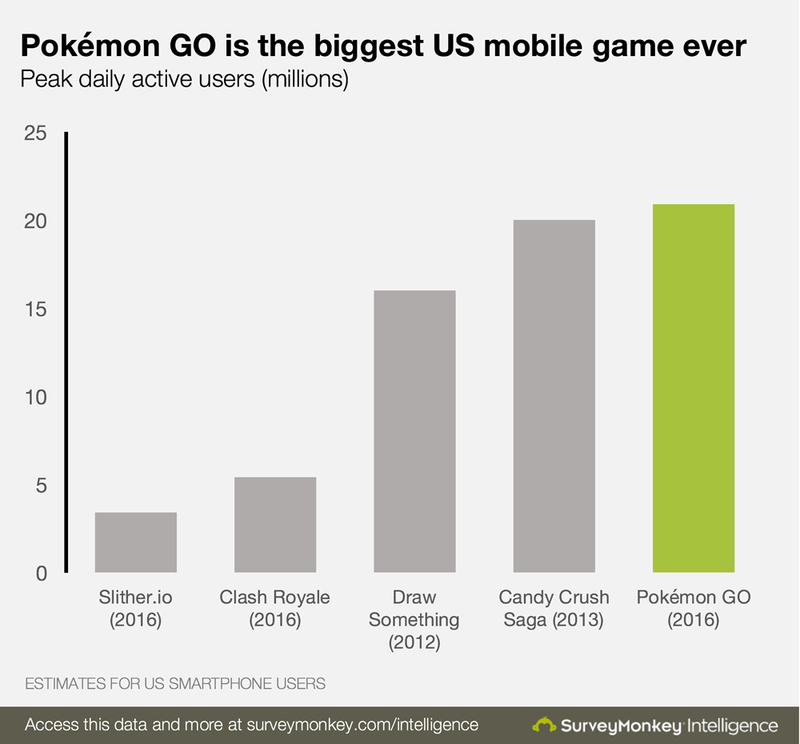 According to Survey Monkey, peak average daily smartphone users for Pokemon Go now tops the previously reigning title holder , Smashing "Candy Crush Saga " behind ! The Game just bought our Childhood back and is now breaking all the records . It's not even a month , Since the game has launched in few countries and its tearing apart the historical records ! So , Which one are you playing Candy Crush or Pokemon GO ?